During the holiday season, our calendar is filled with family gatherings, which are often potluck. 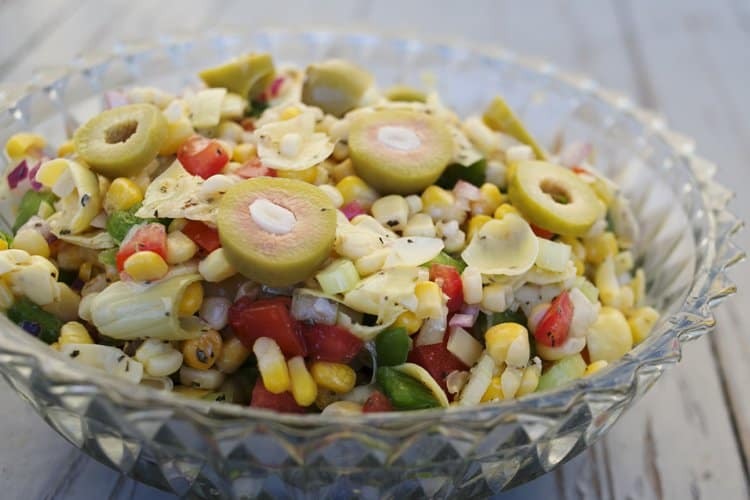 This colorful Zesty Corn Salad is sure to be a crowd pleaser every time. As a busy Mom, I love that I can make this dish ahead of time. No trying to wrangle 6 kids out the door while also cooking. And since this Zesty Corn Salad is served cold, no worry with trying to get a hot dish to the party or keeping it hot until dinner is served! Did I mention that it is incredibly easy to make too? 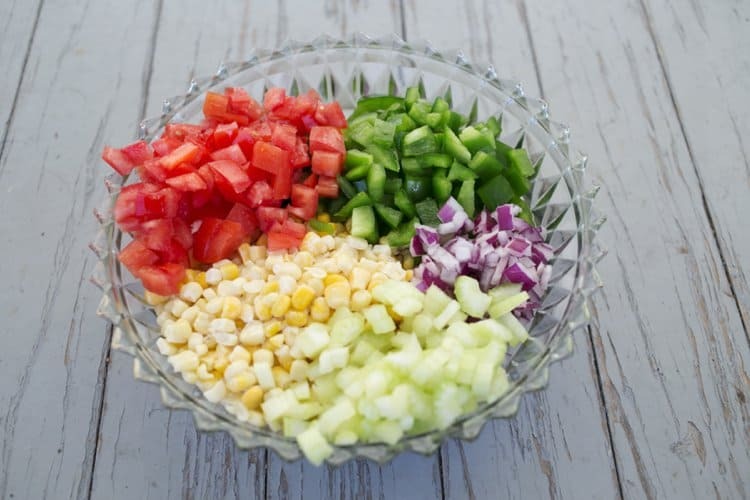 Combine corn, tomatoes, bell pepper, red onion and celery in a large bowl. In a small bowl mix the italian salad dressing, basil and lemon pepper. In a large bowl with a lid, pour the dressing mix over the veggies, and toss in 1/4 cup diced olives. Shake the bowl until mixed and coated with dressing. 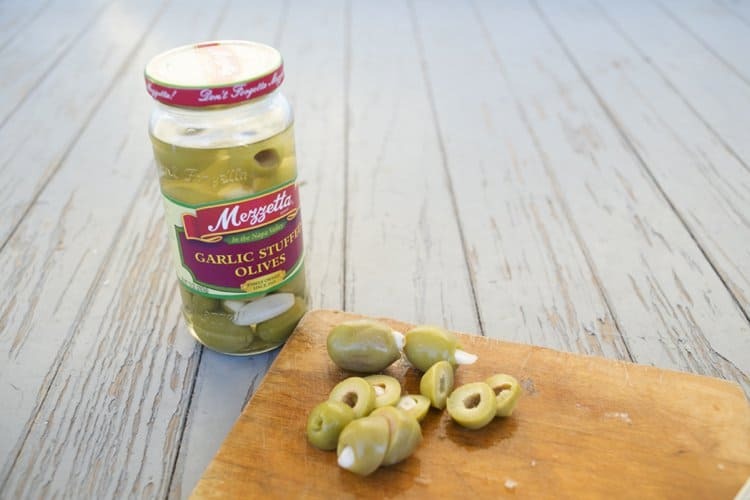 Garnish with sliced Mezzetta Olives. 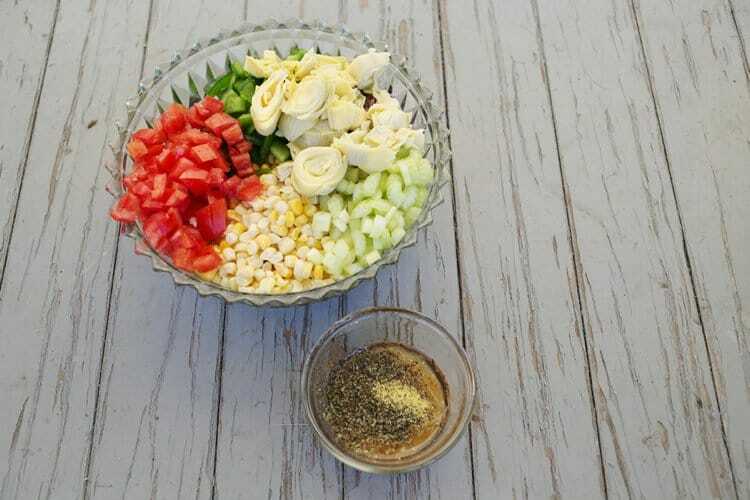 Keep the Zesty Corn Salad in the refrigerator overnight before serving to allow flavors to meld. Enter to win The Holiday Memories Sweepstakes here. First prize includes an Instant Print Digital Camera and more! Wouldn’t that be great for capturing fun holiday memories? Looking for even more great holiday recipe ideas? Here are some great choices! 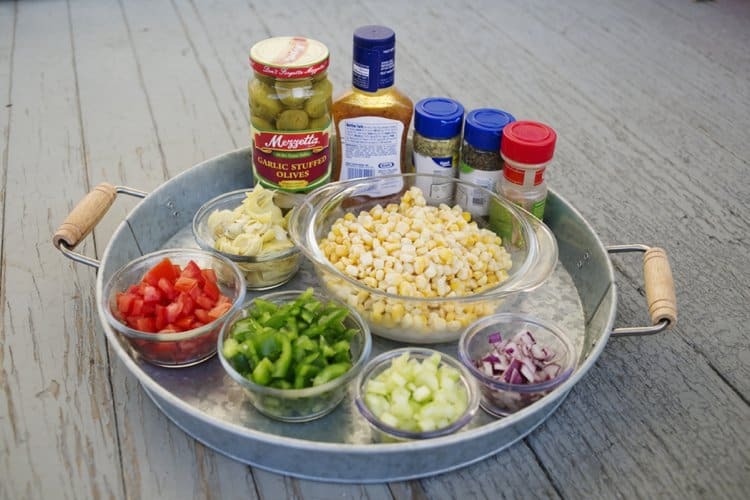 Zesty Corn Salad perfect for any gathering, and any season! Previous Post: « WaterWipes, the Chemical-Free Wipe for all Your Baby and Toddler Messes! 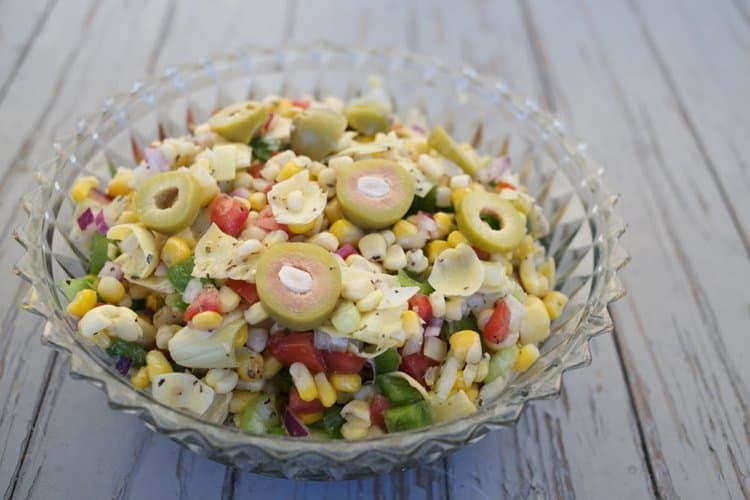 This corn salad looks really tasty! I need to pin this one for our next girls night, we always seem to have Mexican themed nights. Yum! I love how easy this is to make and that it can be made in advance. I generally have all those ingredients in stock as well which makes it nice for a last minute dish. This is the kind of salad my husband enjoys. I bet he would love this especially the olives. Yum! That looks like a great salad! I love that there are so many different flavors, but it's not hard to make at all. That looks delicious and I spotted the artichokes right away because I love them! Thanks for the recipe! We're having a potluck next month with my homeschool group and this would be perfect.